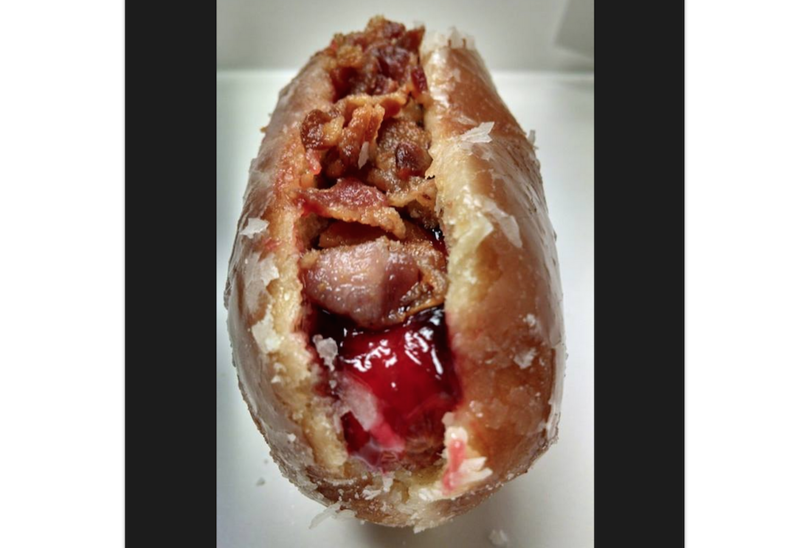 Yes, you read that correctly – a bacon covered hotdog wrapped in a Krispy Kreme doughnut hotdog bun. Just when you think all the foodporn creations have already been invented, you get shocked with a treat as scrumptious as this. Feast your eyes on the Krispy Kreme donut dog. It is a spectacular sight! And I’m sure the taste it’s 10 times better than that!